Google is responsible for both YouTube and the Chrome web browser, but that doesn't mean they always work together perfectly. If you run into a problem where YouTube isn't working in Chrome, you probably have an issue with corrupted local data in your web browser or your internet connection. Before reading any further, restart Chrome. That will most likely solve your problem. If not, come on back to read the rest of the article. To get YouTube working again in your Chrome browser, you need to fix the underlying problem. That usually just means clearing locally stored data from Chrome, but you may have to take more drastic action and completely reset the browser. In other cases, you may find that your YouTube problem is actually caused by your internet service provider (ISP) or home network equipment. Clear the Chrome browser cache. Identify and disable problem extensions. Power cycle your network hardware. Try YouTube in a different browser. You can fix a lot of problems with Chrome, including issues where YouTube doesn't work, by simply closing and restarting your browser. In most cases, restarting the browser will also install any available updates. In some cases, you may need to go a little further and either manually update Chrome or take additional steps to ensure that it fully closes down. If you have multiple Chrome windows open, you need to close them all. Check to see if YouTube is working. If YouTube still doesn't work, try force quitting Chrome to make sure that it has completely closed down. On Windows: force quit Chrome by pressing CTRL + ALT + DEL on your keyboard and then clicking Task Manager. Select Chrome from the list, and then click End Task. On MacOS: force quit Chrome by pressing Option + Command + Escape on your keyboard to bring up the force quit menu. Select Chrome, and click Force Quit. If YouTube still doesn't work, check to see if Chrome is up to date by clicking the overflow menu (three vertical dots) > Help > About Google Chrome. In some cases, you may see a link to update Chrome as soon as you click the overflow menu. If you see this link, click it to complete the update process. Install the update if one is available, and check to see if YouTube works. Otherwise, move on to the next step. Hardware acceleration is a feature that's designed to use your graphics processing unit (GPU) in addition to your central processing unit (CPU) to render web pages. When it works properly, and your graphics card can handle it, this feature helps Chrome run more smoothly. Navigate to chrome://settings and click Advanced. If the hardware acceleration slider is on, click it to turn it off. Content settings is located in the Privacy section of the same advanced settings page where you turned off hardware acceleration. You will typically need to scroll up to find it. Click the slider so that it says Allowed. Restart Chrome and check to see if YouTube works. In some cases, corrupted data can prevent YouTube from working in Chrome. When this happens, it's usually an issue with data stored in the Chrome browser cache or a problem with cookies. That's why clearing your cache and cookies can sometimes fix problems with YouTube not working in Chrome. Check the boxes next to cookies and other site data, and cached images and files. Incognito mode is Chrome's private browsing mode that prevents your browser from saving any information about what you search for or view on the internet. It doesn't prevent external sites from tracking you, but it does prevent the storage of cookies and, by default, prevents extensions from running. If YouTube works in incognito mode, it usually means you have a problem with an extension. In that case you can try disabling your extensions one at a time, just use YouTube in incognito mode, or use a different web browser for YouTube. How to use Chrome in incognito mode. How to disable extensions in Chrome. 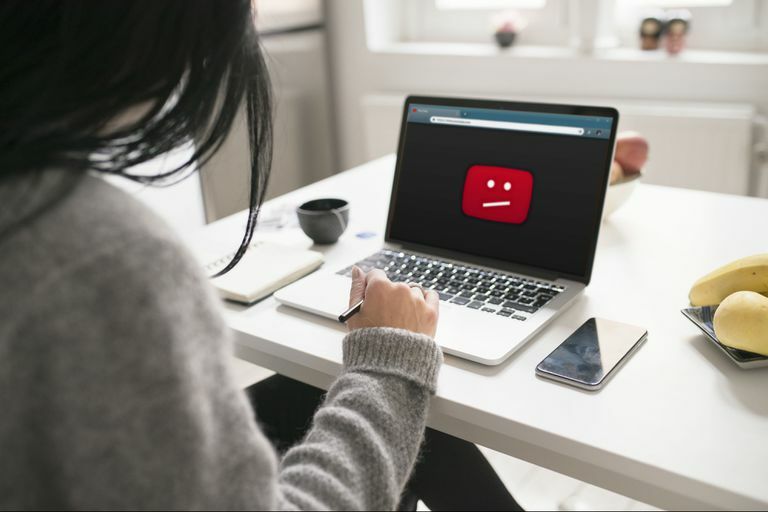 In some cases, YouTube problems are actually caused by problems with your internet or network connection instead of Chrome. These problems can typically be fixed by simply power cycling your network hardware, which is a process that requires you to unplug your router and modem from power. If you aren't sure how to do this, check out our guide to rebooting a modem and router. To make sure that your network hardware has actually power cycled, you may have to leave each component unplugged for an extended period of time. In most cases, 10 - 20 seconds is long enough. If YouTube still doesn't work after that, you may want to check your internet connection speed to see if your connection is currently fast enough to stream video content. If you aren't sure how to do this, we have a guide that will walk you through testing your internet speed and a list of good sites where you can check your internet connection. YouTube recommends a connection speed of at least 500 Kbps for low quality video and 1+ Mbps for high quality video. There are some other Chrome problems that can prevent YouTube from working, but the fixes are more drastic. The next steps are to reset your Chrome settings, and then uninstall and reinstall Chrome if that doesn't work. Resetting Chrome settings and reinstalling Chrome both wipe out any changes you've made to Chrome since you installed it. You'll lose custom home pages and tabs, changes to the default search engine, pinned tabs, and all your extensions and themes. Only proceed if nothing else works. If you prefer not to reset or reinstall chrome, try using YouTube in a different browser instead. The process for resetting Chrome is the same regardless of your operating system, but the menu option is different depending on whether you're using Windows, Mac, Linux, or Chrome OS. On Windows: Locate the Reset and cleanup section, and click Restore > Reset settings. On Chrome OS, Linux and Mac: Locate the Reset settings section, and click Restore settings to their original defaults > Reset settings. If YouTube still doesn't work after fully uninstalling and reinstalling Chrome, install a different web browser and try to use YouTube with it instead.